We hosted an ‘Emergency First Aid at Work’ course at the school yesterday to allow health professionals the opportunity to learn or renew their skills. The content of the course is so valuable and left all students feeling confident that in an emergency they would be equipped with the knowledge of how to preserve life. We also talked about first aid kits and it was suggested we carry one in our cars or bags. When we take a holiday I always pack my first aid essential oils with me and there have been situations where I have been glad to have them. They have been used for headaches, stings, bites, cuts and bruises but thankfully, nothing more serious. 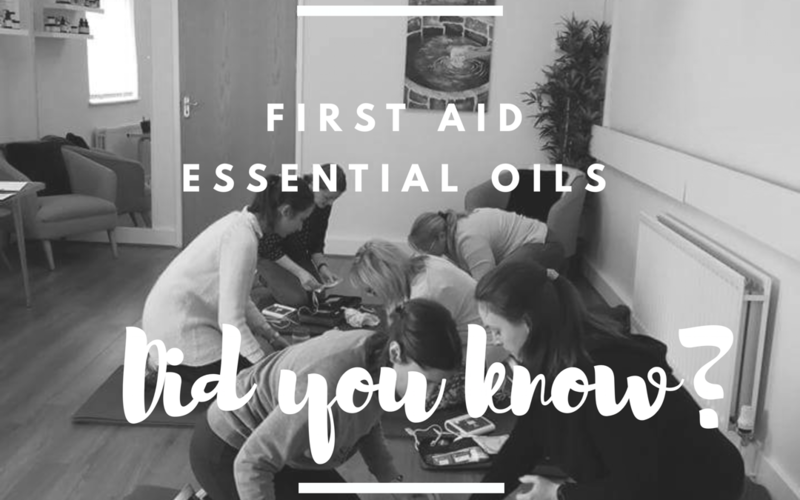 There are so many essential oils we can use to help in an emergency but usually we don’t have the luxury of an essential oil cupboard to hand, so which oils would be best in our ‘first aid kit’? Here are our four recommendations. This would be our number one oil for a first aid kit as it helps with so many first aid situations, from headaches, to stings, to burns to bruising…is there anything Lavender cannot do? Tea-tree is invaluable in its antimicrobial properties against fungi, viruses and bacteria. It can boost the immune system and is so intelligent that it can increase its ability to respond to an infection. This essential oil can be used for swelling, sprains and bruising, Its chemical make up of ketone like components make it a useful oil for severe bruising and in an emergency situation, applied with a cold compress it can be used to stem blood flow temporarily. The antimicrobial properties of Lemon oil make it a useful oil in the treatment of flu, common colds and bronchitis. It is reputed to have an immuno-stiumlant action and stimulates the white blood cell production in the event of invading bacteria. I hope this has been useful, please do join in with the oils you would choose to add to your first aid kit.